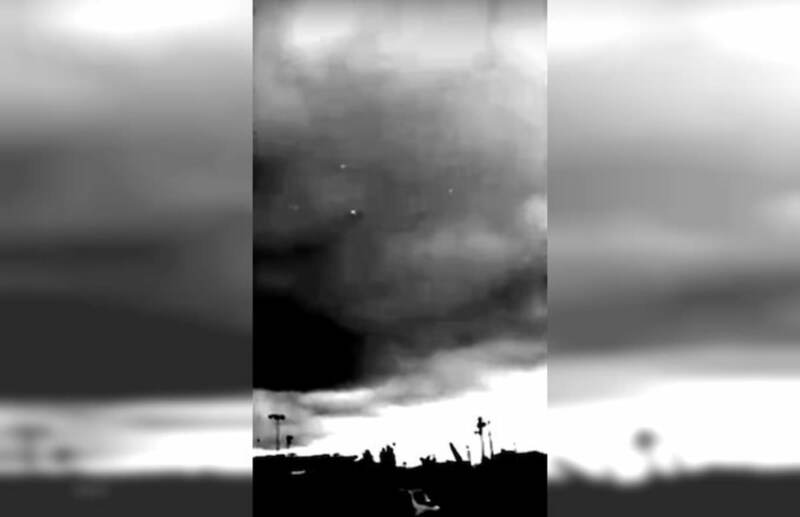 Home » Cluster of UFOs Filmed at Mexican Border? Customs and border officers on duty were so enthralled by the ‘flying saucers’ they ditched their posts to watch and film the display. The video and its subsequent vanishing act has now set conspiracy theorists‘ tongues wagging. Tyler from UFO monitoring group Secureteam said: “The footage was captured on the Tijuana border on the Mexico side. “(The footage) captures what can best be described as a fleet or an extremely large grouping of UFOs that look like they are stopping traffic or at least slowing it down. The video and its subsequent vanishing act has now set conspiracy theorists’ tongues wagging. “Even border patrol agents are seen with their cameras, eyes up focusing on these objects that seem to be just littering the clouds. “This was posted on Instagram….but then the page was removed. The footage has been taken down. This is actually really strange. “It had around 30,000 views and a couple of hundred comments but now it is gone. It had only been up for a few hours. “At first they are random but towards the end four of them align in a rectangular formation so they can’t be balloons,” he said. Earlier this week, the Mexican president cancelled a landmark meeting with Donald Trump as their war of words over the President’s controversial border wall escalated.